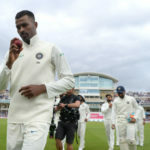 Hardik Pandya took his best Test figures as England collapsed to 161 all out. 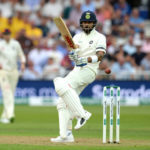 India produced a classic display of Test batting to take command at Trent Bridge. 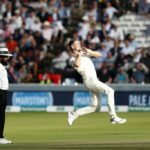 Chris Woakes’ maiden Test century has put England in an unassailable position against India at Lord’s. 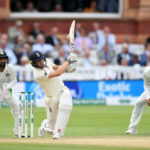 Inspired bowling by England’s Jimmy Anderson and Chris Woakes humbled the Indian batsmen during a rain-interrupted second day at Lord’s. 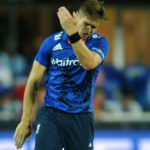 Chris Woakes could miss the first two Tests against South Africa in July, due to a side strain which ruled him out of the Champions Trophy. England’s Chris Woakes will miss the remainder of the Champions Trophy. A replacement for the England all-rounder will be named shortly. Liam Plunkett hit a six off the last ball to secure a tie against Sri Lanka at Trent Bridge.